May I just add that this article is about MY opinions on certain ingredients, you may or may not agree with me but please respect my right to express my viewpoint. I want readers to gain an understanding of why I chose some brands over others. Last year I wrote a post (link) which caused a mix of outrage and support but there was a part of that article that I feel is worth re-addressing. I raised the question about buying from companies which have majority "clean" products but the occasional "bad" one in the mix. I wanted to expand my viewpoint beyond the "good" and "bad" ingredients and turn it around to animal cruelty. My views on testing on animals were formed from an early age. I was ingredient aware as a teenager. I made decisions about what I would not eat and where I bought my products. This has stood the test of time and now expands into the world of green beauty. Thankfully, there have been changes in animal testing laws but there are still loopholes. For example, it always amazes me how carmine is an acceptable ingredient for a company which promotes itself as cruelty free. I have been contacted by brands that use Emu Oil, Lanolin, and Carmine in some their products and I made the decision to walk away from opportunities to review. I am not happy to promote one or two items which meet my standards but know that other products in the line contain ingredient which I believe are not cruelty free. Emu oil and Lanolin are by-products of the meat industry and as a non meat eater I feel it would be a double standard for me to support their use in skincare. I object to animal derived ingredients which lead to the death of an animal during the process of harvesting (e.g. Silk, Shellac, Bee Venom). I am of the opinion that I would prefer to boycott by not purchasing and campaign for changes. People will of course disagree and there is a divide over issues such as parent companies. I'm of the opinion that you are never going to change a company’s ingredients list if you continue to line their pockets with profits. When it comes to skincare there are fantastic plant alternatives so why do we need to kill animals for our own vanity? I suspect when it comes to by-products of the meat industry, some will argue that at least nothing is wasted after the animal’s death. I can’t stop the world eating meat but I would like to urge people to think about the manufacturing of their beauty products because I'd like to believe we are all animal lovers at heart. Great post Sarah :-) I also no longer buy from companies that supply products with Lanolin, Shellac or Emu Oil etc. For example, I'm now, no longer buying from Weleda. I find it insulting that they market a product like Skin Food (which contains Lanolin), as suitable for vegetarians! In terms of carmine, this is something I'm working/leaning towards. I recently did a review on the Lily Lolo mascara which I did really like, however, something happened the other day which is making me doubt the quality/longevity of the product and I believe I shall be updating my review. The only other product I use from them is the foundation, which although great, I believe would be easy to replace. Therefore, I no longer feel that there is anything stopping me from boycotting. I saw your tweet the other day about compiling a list of vegan skincare brands... I'm really excited to peruse this! I'm actually working on a similar thing, in regards to vegan makeup products. And lanolin has never appealed as an ingredient moral issues asside. Now about carmine, I'm actually doing a post on a product that does contain it and by the time it's done hopefully my position on it will be clearer even to me. The thing is it makes me feel like a hypocrite, on the one hand if it was made from a blood of a rabbit or bumble bees or something I would be outraged, and would boycott the company without hesitation. On the other hand coachella cockroaches just don't get the sentiment from me, and yet to use them purely for vanity sake is just well doesn't quiet sit right with me. I guess I'm still processing and deciding where to go with this issue. Thanks for your input Tamara. How we process our feelings is very much individual and I don't think you are alone in your thoughts about Carmine. I have seen from others that there is often little emotion with people and I assume because it's an insect we don't seem to connect in the same way as with other animals. I understand that but I can't help but feel sorry for the poor beetle. A good article Sarah. 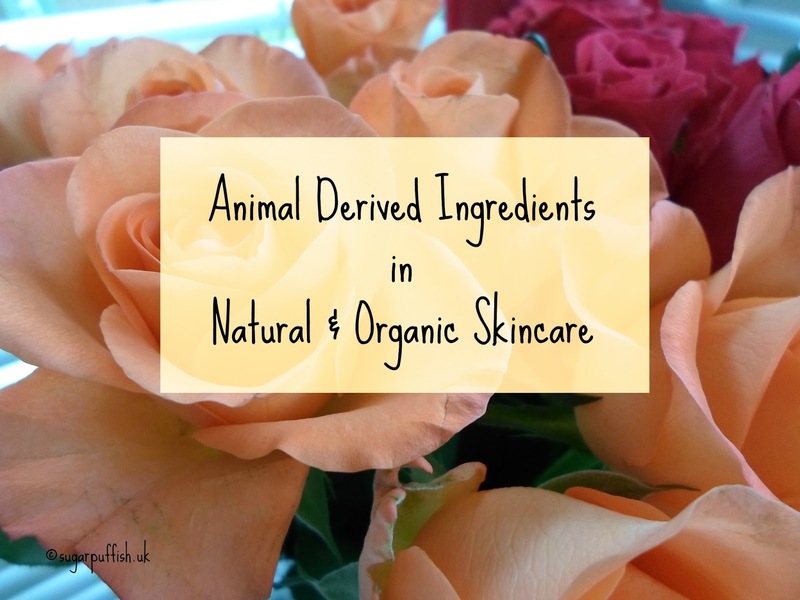 Makes me think about methods and ingredients used for skincare and makeup products. Thank you for your comment Liz. I agree there is a lot of confusion over marketing terms, add "natural" and "organic" into that mix as well. I had an email yesterday that was a play on words, I spotted the products contained lanolin yet the sales pitch given was "since none of the ingredients are derived directly from animals, are suitable for vegetarians."